Hello there! Olesya Andreyeva is here. 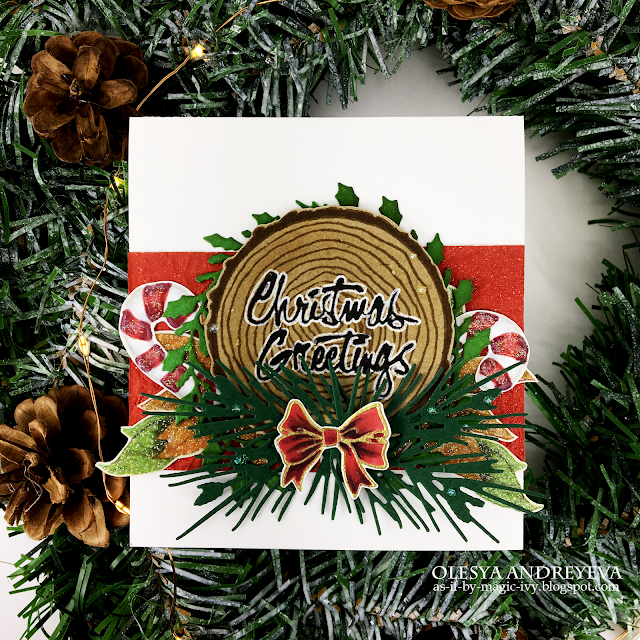 Day 3 of the Holiday card series with Crackerbox&Suzy stamps and a new card is here. 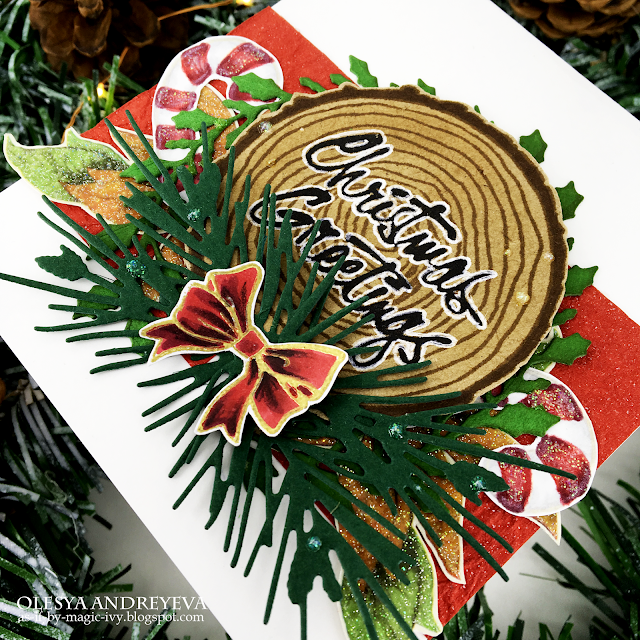 Adhere a wide strip of red glitter specialty paper to the card base. 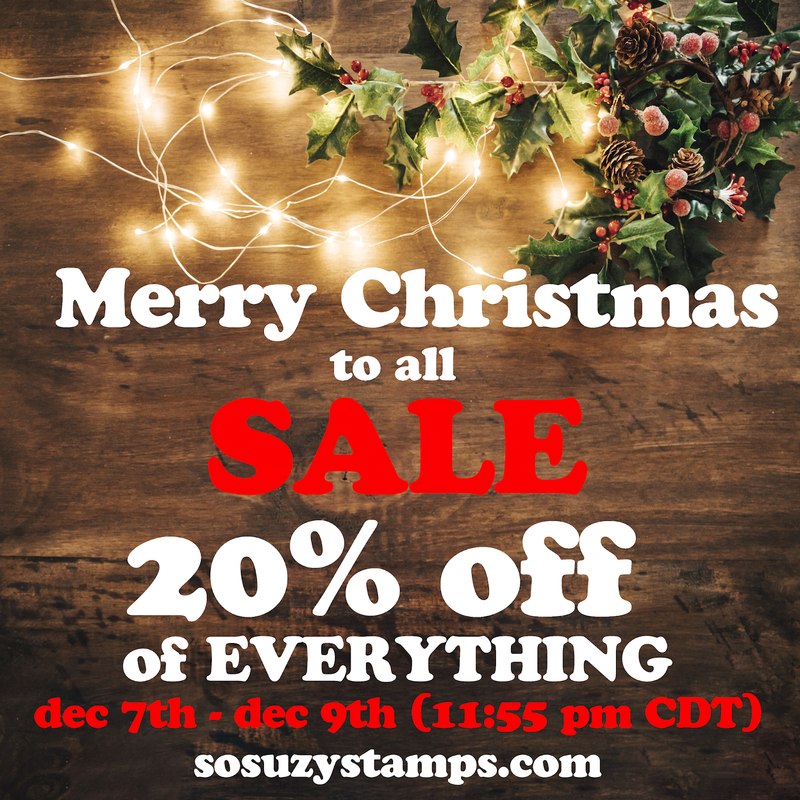 Stamp the Candy Cane in Antique Linen Distress ink and color it in no line technique with Chameleon pens ( or any other medium). Stamp the wood slice onto a kraft cardstock with Coffee Archival ink and sponge with Vintage Photo Distress Oxide ink on top. Stamp the sentiment onto a wood slice with Jet Black Archival ink and outline with a white gel pen ( mine is Jelly Roll Sakura). Heat emboss the bow in gold and color it in with Chameleon pens. 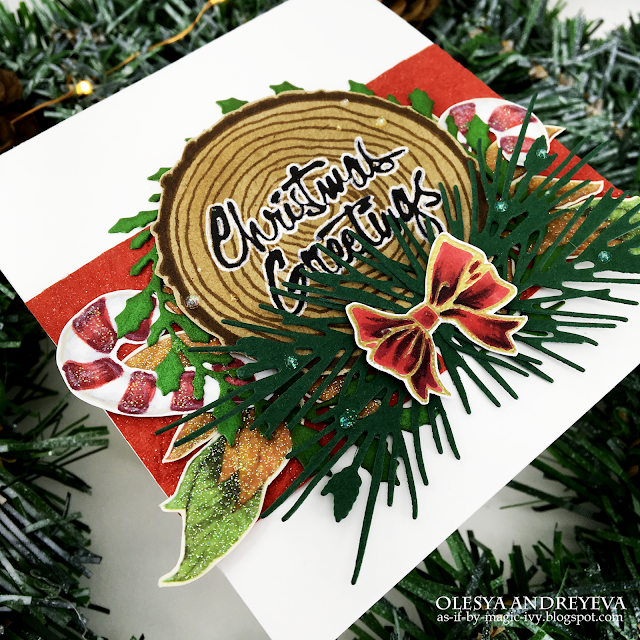 Die cut branches and such to embellish the card. Add some glitter drops here and there. So pretty! Love the Wood Slice stamp and the candy canes! Gorgeous coloring!